The game has officially been changed. Our patented “Hidden Blade” technology makes our broadheads arguably the most accurate broadhead ever created. With no blades exposed the Thorn Broadheads are providing true field point accuracy. Just screw them on and go! Available in multiple cut diameters and weights, we have a broadhead that will work for you and whatever game is in your sights! Available for compounds and for crossbows. With most companies looking to save on production costs we are seeing more and more products being made outside the borders of the USA. Thorn Broadheads is committed to making incredible, American Made products that our customers can count on. With every pack of Thorn Broadheads you buy, rest assured you are providing for a fellow American worker. We set out to not only make the most accurate broadhead ever created but to also provide jobs for our neighbors. Our broadheads are hand assembled in Burnsville, North Carolina and that ain’t changing. The cut on contact Thorn Broadheads leave nothing less than devastating wound channels creating blood trails anyone can follow. Our patented “Hidden Blade” technology allows for perfect flight for pin point accuracy but upon arrival the blades deploy creating large entry wounds and exit wounds. Being American Made also means durability allowing our heads to be used time and time again in most cases. A lot of heads are just copies of another, we have reinvented the wheel in broadhead technology. 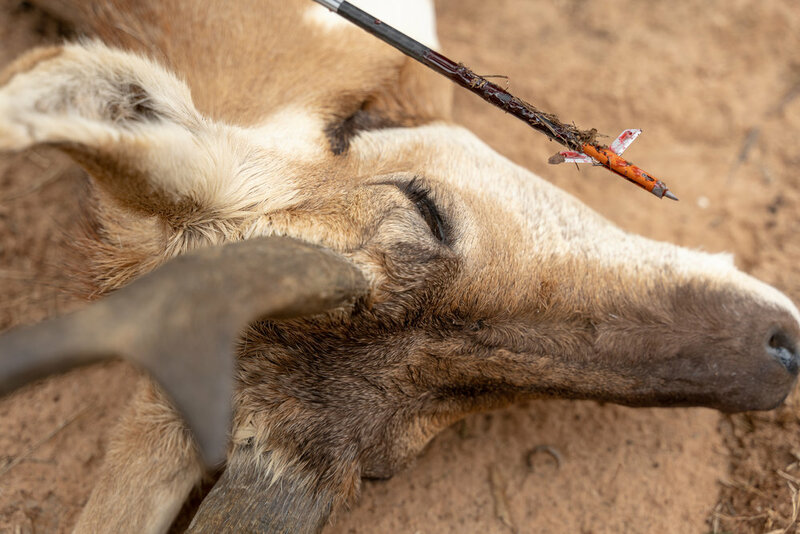 Many broadheads claim to be “field-point” accurate, which just isn’t true. Until now. Introducing the fastest, most accurate expandable broadhead on the planet: the Thorn Broadhead. Thorn uses patented “hidden blade” technology to achieve true field-point accuracy. At impact, the Rip-Tip delivers bone-crushing penetration and deploys the hidden blades creating a huge wound channel. Get the broadheads that hit the mark every time. Get Thorn Expandable Broadheads. Thank you! We will keep you up to date with the latest and greatest Thorn Broadheads content!